Judge Jeanine's Pirro's inquiry is 100 percent legit and she has every right to make it. Fox News, on the other hand, shows cowardice by not defending its hosts when they ask tough questions and raise sensitive issues. It's their job. Fox has refused to discuss Judge Jeanine Pirro and whether her absence is temporary or permanent. That is also a shame, as loyal viewers deserve better. When Americans are standing up to the status quo, Fox folds like an accordion to pressure from the politically correct left. Too many talented conservatives have been dismissed from Fox News because the network has not had the guts to defend them. Once upon a time, you could count on Fox to be "fair and balanced." Those days, unfortunately, are long gone. Fox News has signaled their submission to Islam. Faux/Islam bs posing as news! Soon Fox News is going to have more former viewers than actual viewers. Between this and Chris Wallace my interest in FOX is dwindling. 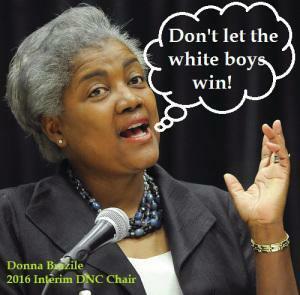 Fox is now touting Donna Brazile joining them. They have fallen into disrepute. 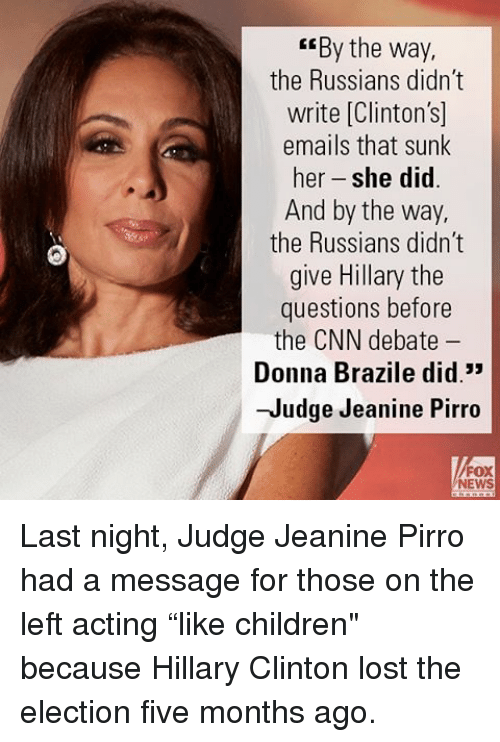 Judge Pirro should find a new home, as should Tucker, and a few others. Fox’s suspension of Jeanine Pirro, unfair and unbalanced. Just read that Fox has hired Donna Brazill. Pray she isnt replacing Pirro. Just cut the cord if you haven’t already. There’s no point in paying cable subscriptions keeping MSNBC and CNN afloat just to get the increasingly useless Fox. Let them all go bankrupt. Pray she isnt replacing Pirro. I kinda hope she is. I always enjoy watching arrogant dumbasses shoot themselves in the foot. Just another plus for One America News Network. O stopped watching Fox when they stopped being “fair and balanced” and stopped letting the viewer decide. I cut the chord about three years ago. Haven’t missed it for one second. I hope she sues the crap out of FOX.......She was/is great...can’t even tell the truth these days.